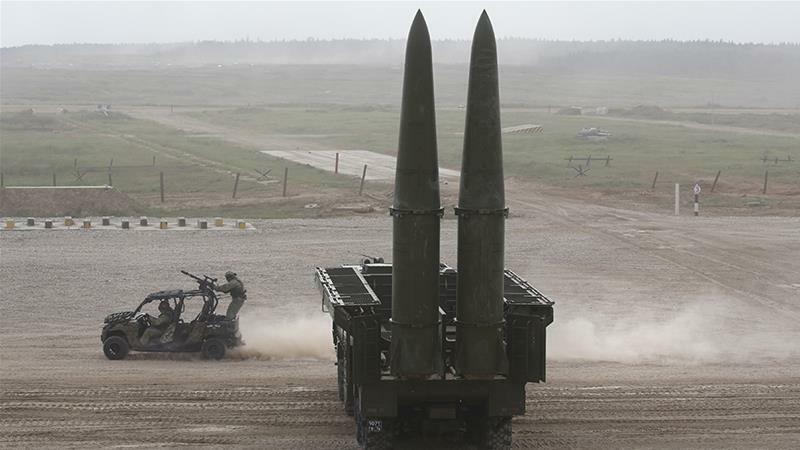 On Saturday Russia announced it too was withdrawing from the INF treaty, and accused the U.S. of blatant violations of the agreement, a charge that the U.S. had levelled against Russia a day earlier. They say that they are doing research and testing and we will do the same thing, he said,flanked by Foreign Minister Sergey Lavrov and Defense Minister Sergey Shoigu whom he had met with earlier. The Russian leader ruled out any possibility of trying to salvage the agreement which had been meticulously negotiated and agreed by former U.S. President Ronald Reagan and former Russian leader Mikhail Gorbachev, and which had been in place for the past three decades. The U.S. on Friday formally suspended its involvement in the treaty, giving Russia 180 days to comply with its terms, after which the U.S. will withdraw from the pact altogether. This included unprecedented steps going far beyond our obligations, he said, claiming that Washington itself had been systematically undermining the INF Treaty going back to at least the late 1990s. While conceding he did not want to see a new arms race, Putin said his country’s suspension would now enable it to start construction of a new medium-range supersonic nuclear missile. Special Russian cruise missiles – called Kalibr – are a type of missile that the Russian forces launch from ships and submarines. Now Putin is agreeing to allow the development of a land-launched variant, RT.com reported. Russia has repeatedly suggested staging new disarmament talks, on all types of weapons. Russia has seen our initiatives not supported. On the contrary, pretexts are constantly sought to demolish the existing system of international security, Putin said.